Asian Integration's Low Visibility in the United States Elite Press: The Vicious Cycle of Rational Ignorance? 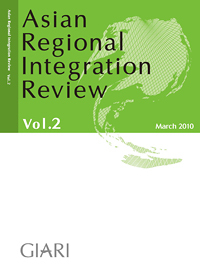 Mireya Solis, Barbara Stallings, and Saori N. Katada, eds., Competitive Regionalism: FTA Diffusion in the Pacific Rim, New York: Palgrave Macmillan, 2009. Vinod K. Aggarwal and Shujiro Urata, eds., Bilateral Trade Arrangements in the Asia-Pacific: Origins, Evolution, and Implications, New York: Routledge, 2006.